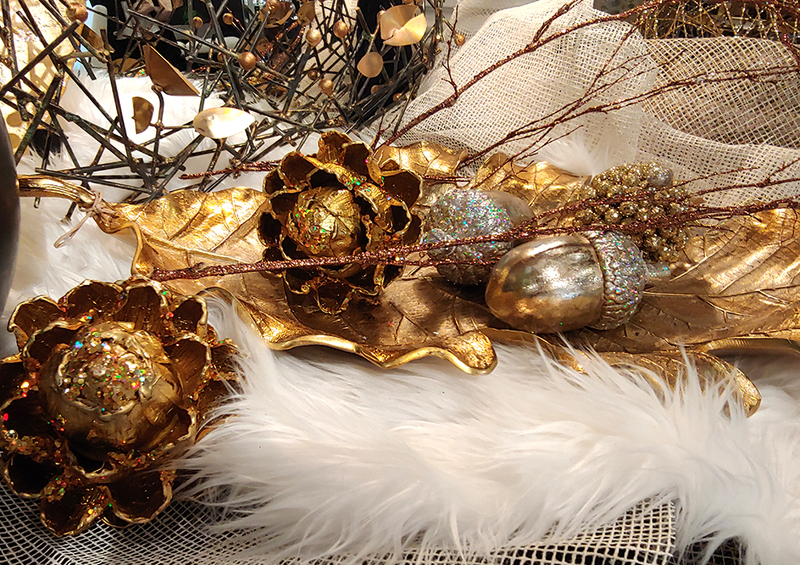 Are you still on the hunt for the perfect holiday decor or perhaps you are stuck for ideas for your gift list? Here are a few of our favourite things! We hope the ideas will inspire you! As many of you may already know we specialize in the art of entertaining. 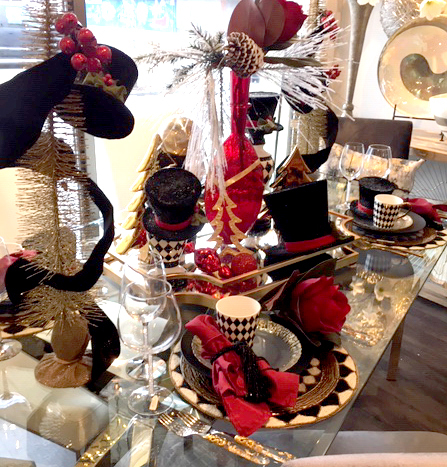 A quick tour of our store will have you experiencing the magic of the holidays through whimsical tablescapes that you won’t soon forget. 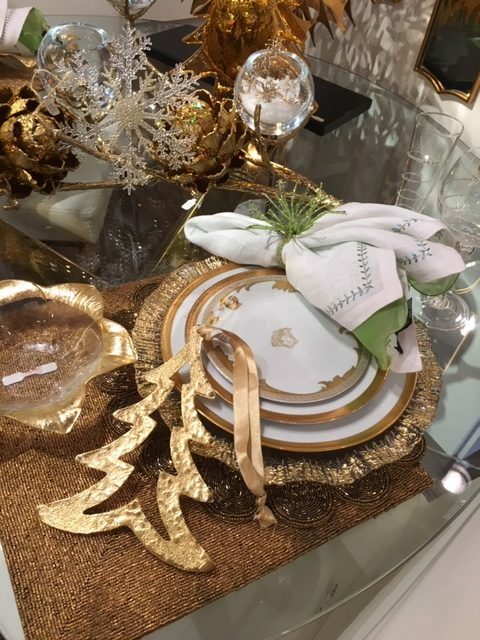 Imagine a theme or style and we can help you pull it altogether so you can make your own holiday memories at your own Christmas table surrounded by the ones you love. 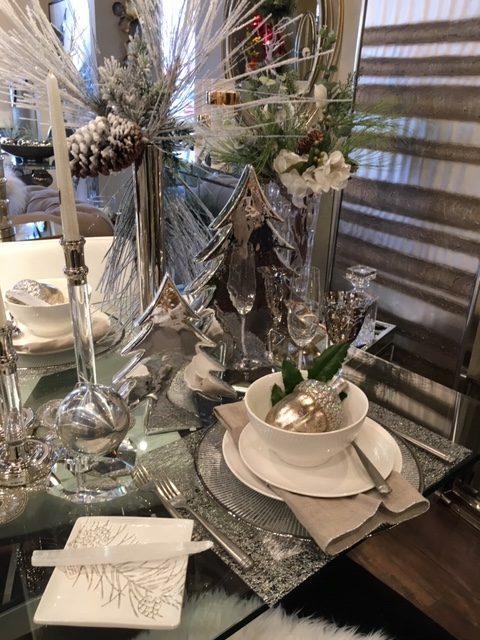 You will find everything from the tables and chairs themselves, to the dinnerware and decorative details that will make your vision become a reality. 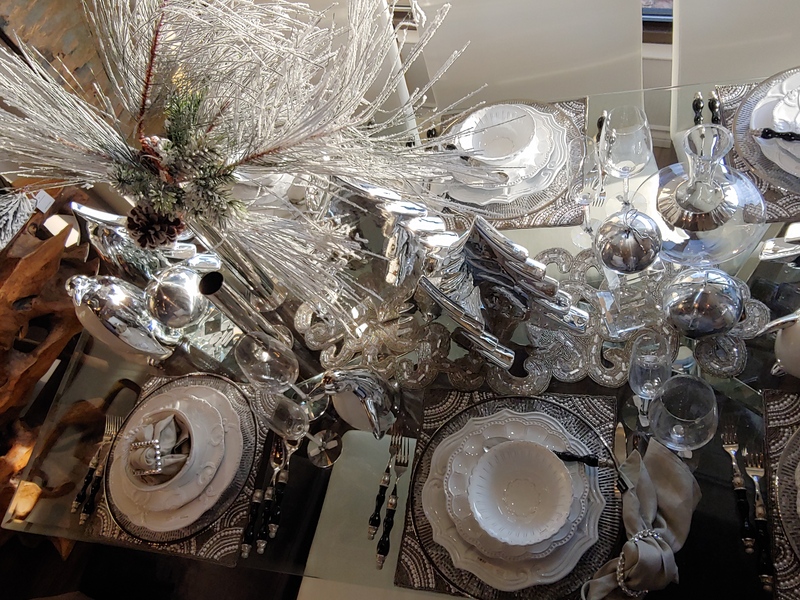 There is nothing wrong with glitz and glamour anytime of the year and especially during the holidays. 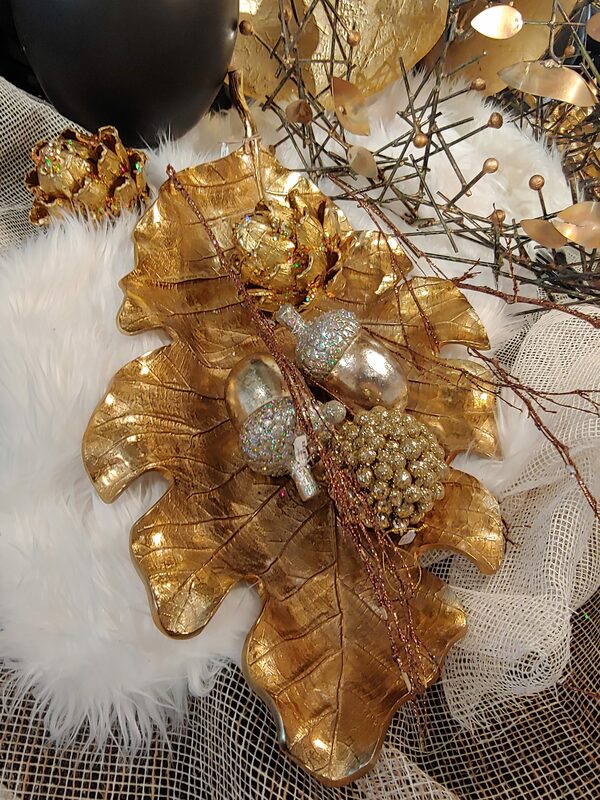 There is something about the warm glisten of gold that makes one feel good in the mid of a cold winter. 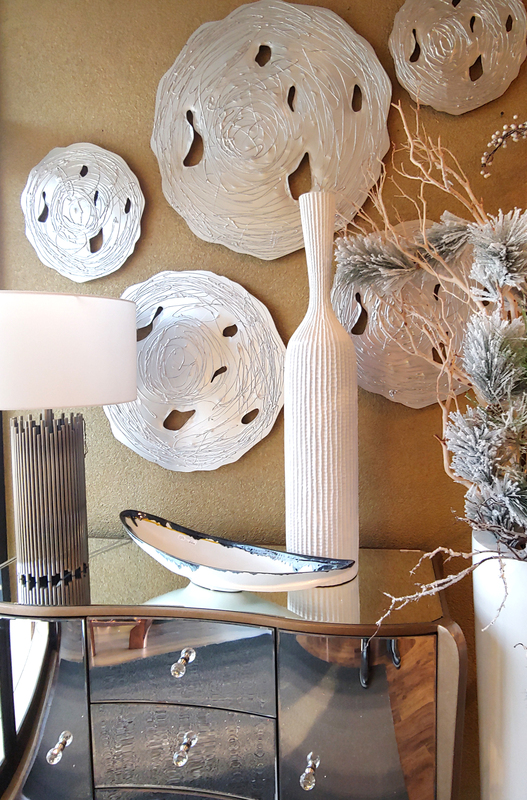 Add in the flicker of a beautiful candle and you will never want to leave your cozy Christmas home. 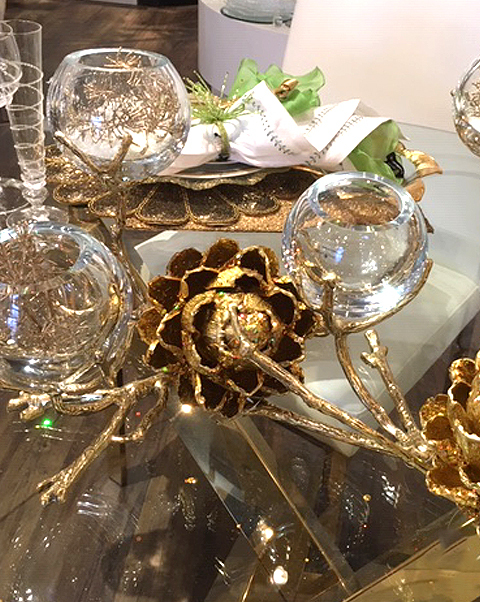 With Christmas favourites like Silver Bells and Silver and Gold you can’t help but associate the holidays with these festive metals. Plus they do an amazing job of reflecting the colours and lights of the season. 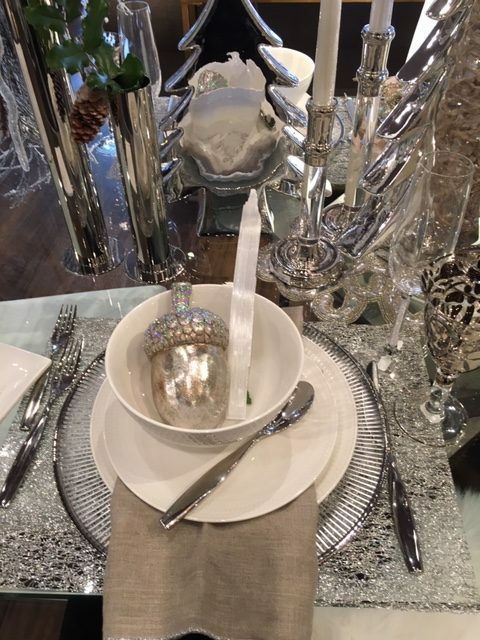 Oh and of course we love all the little Modern Accents that give personality to spaces and tablescapes. It is in our business name after all. 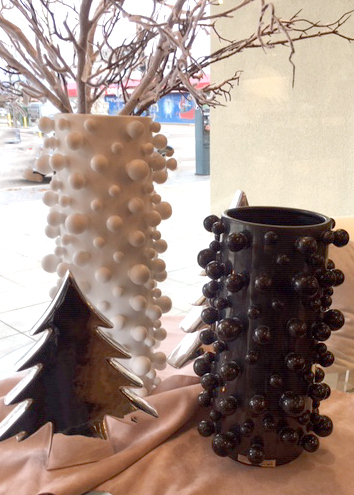 Do you have the hard to buy for on your list or perhaps you want to treat yourself? 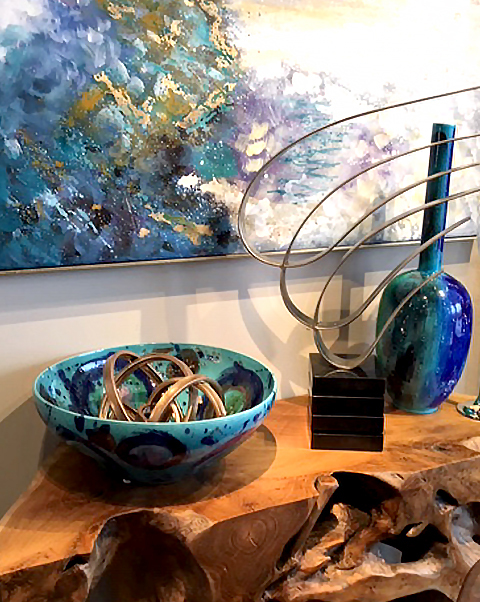 We love to bring those unique and artistic pieces into the store that can become those all important focal points and conversation pieces in your home. Those artful pieces, wall features and furniture that have that little bit of extra creative flare will transform a regular room into an inspiring space. 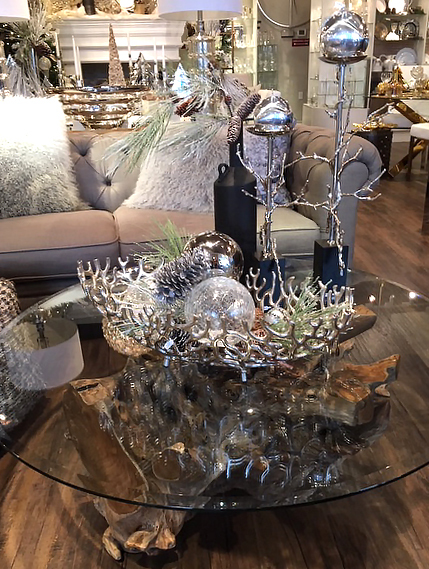 Keep in mind that an investment in these pieces will give you decorative accents that will be timeless and relevant even after you put all the Christmas decorations away. Our list of favourites wouldn’t be complete without mentioning all of you, our wonderful clients! We wish you all a magical holiday season!